Buy Antreol 1mg (Anastrozole), Antreol is used in the treatment of early-stage breast cancer in post-menopausal women. It is also used in the treatment of advanced (that has spread within the breast or to other parts of the body) breast cancer in post-menopausal women previously treated with drug tamoxifen. Buy Antreol (Anastrozole) online with Prescription required! Antreol (Anastrozole), brand name arimidex, is a nonsteroidal aromatase inhibitor which inhibits the production of estrogen in post-menopausal women. It is most frequently prescribed to combat or prevent certain types of breast cancers which thrive on estrogen. By lowering estrogen levels in the body, these cancers are unable to grow and spread. Antreol (Anastrozole) may be used as a preventative measure in women at high risk of developing breast cancer, to prevent cancer growth in the other breast, or to treat early or advanced stages of existing cancer. It is frequently used in conjunction with other medications, as an adjuvant treatment, or when other medications have failed to produce results. Cancer is a frightening and difficult event that impacts every aspect of the victim's life. Antreol (Anastrozole) has proven effective at both preventing and combating breast cancer in many women, and for other women prevented cancer entirely. The potential benefits in reduced mental and physical suffering, improved quality of life and extension of life are clear and for most women far outweigh the risks associated with treatment. What does Antreol (Anastrozole) do? Anastrodex is a hormonal therapy used to treat breast cancer in postmenopausal women with estrogen sensitive breast cancer. In postmenopausal women the main source of estrogen is via conversion of androgens (aromatization) by the aromatase enzyme in the fatty tissues of the body. Antreol (Anastrozole) is a drug that blocks the aromatization process, and so reduces the amount of estrogen in the body. As less estrogen can reach the cancer cells, they grow more slowly or stop growing altogether. In addition, Antreol (Anastrozole) can be used to treat infertility caused by polycystic ovary syndrome (pcos). How does Antreol (Anastrozole) work? 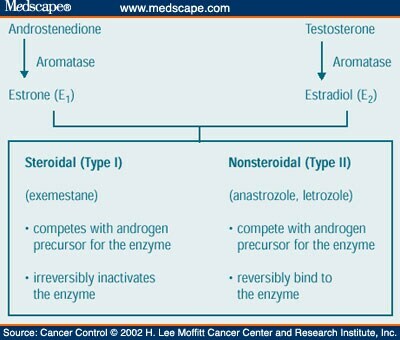 Antreol (Anastrozole) reversibly inhibits the enzyme responsible for conversion of testosterone to estrogen. It works by binding to the enzyme and making it unable to carry out its usual functions. Antreol (Anastrozole) is a tablet, usually taken once a day at the same time. It may be taken with or without food. Dosage and duration of treatment will vary depending on a number of factors, including the condition being treated, patient response to treatment, and other medications being taken. It is important to follow physician instructions carefully to get the most benefit from Antreol (Anastrozole). Antreol (Anastrozole) is usually taken for 2 to 5 years, though in some cases treatment may be longer. patients with known hypersensitivity to any of the ingredients in Antreol (Anastrozole) should not use this medication. This product contains lactose. Antreol (Anastrozole) is for post-menopausal women and certain pre-menopausal women only. It is not for use by men or children. It is harmful to unborn and babies. A pregnancy test may be required before this medication is prescribed. In some patients Antreol (Anastrozole) may decrease bone density, increasing the risk of fractures and breaks. Depending on patient history and condition, frequent bone density tests may be requested. Like any medication, Antreol (Anastrozole) may interact with other prescription and non-prescription medications. The prescribing physician should be made aware of all drugs being taken for the duration of treatment. Why buy Antreol (Anastrozole) from Safegenericpharmacy? Authenticity. We only sell authentic Antreol, manufactured by Sun Pharma Ltd at a plant in the India. clients who buy Antreol (Anastrozole) from SGP are buying from USA's oldest and most trusted online pharmacy. Our experienced and highly-trained staff ensures your order will be processed quickly, discreetly, and hassle-free from any location. Do consult your doctor before taking Antreol (Anastrozole), if you are not sure that you have reached menopause (the time in a woman’s life when her menstrual periods stop). Q. Is Antreol (Anastrozole) a chemo drug/considered chemotherapy/chemotoxic? Yes. Antreol (Anastrozole) is a non-st**l chemo drug. It is used as a part of chemotherapy or with other chemotoxic agents in the treatment of early-stage or advanced breast cancer in post-menopausal women. Q. Is Antreol (Anastrozole) a controlled substance/illegal? No. Antreol (Anastrozole) is not a controlled substance and does not have a potential for addiction and abuse. It is not an illegal drug. Q. Is Antreol (Anastrozole) better than tamoxifen? Antreol (Anastrozole) and tamoxifen are two different drugs with similar uses but different mechanism of action and so cannot be compared. Q. Is Antreol (Anastrozole) same as Arimidex? Yes. Arimidex is a trade name for active drug Antreol (Anastrozole). Q. Can I take Antreol (Anastrozole)/arimidex with proviron/ glucosamine/ melatonin/ aspirin/ turmeric/ ibuprofen? Antreol (Anastrozole) (trade name: arimidex) has no known serious interaction with mesterolone (trade name: proviron), glucosamine, melatonin, aspirin, turmeric or ibuprofen. Please inform your doctor about all the medication you are currently taking to avoid interactions that may reduce effectiveness of any treatment or aggravate side effects. Q. Does Antreol (Anastrozole) cause weight gain/hair loss/high blood pressure/arthritis/raise cholesterol/ joint pain? Yes. Increase in body weight, hair loss, high blood pressure, inflammation of joints (arthritis), raised blood levels of cholesterol and joint pain are among the possible side effects of Antreol (Anastrozole). Q. Does Antreol (Anastrozole) increase testosterone? No. Antreol (Anastrozole) has no known effect in raising testosterone levels. Q. Does Antreol (Anastrozole) help gyno? Antreol (Anastrozole) has no known effect on breast enlargement in men. ‘Gyno’ is a slang word used commonly among body builders for gynecomastia (enlargement of breasts in men).